Welcome home to this captivating elegant residence situated on a private corner lot. 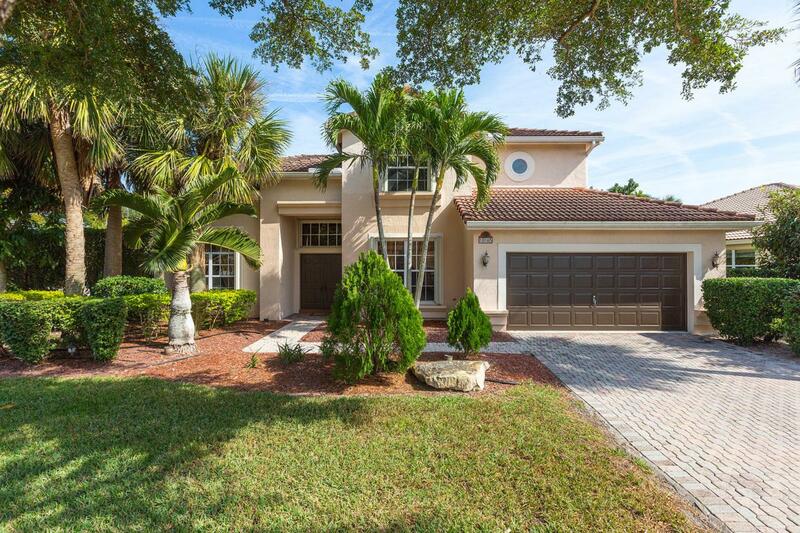 This impeccably maintained spacious home with two story foyer and open floor plan features gorgeous bamboo floors in the bedrooms and beautiful marble flooring throughout the main living area. Enjoy the remodeled kitchen with a cozy breakfast nook, stainless appliances, granite counters, and breakfast bar. Sliding doors from the family room open to the screen enclosed heated pool and spa area which is perfect for entertaining, or simply relaxing. The master bedroom is located on the first floor for your convenience. Also located on this first level is the guest bedroom. A stunning iron and wood staircase leads to the additional 3 bedrooms.You will love living in this desirable community complete with Tennis courts, community pool and a charming playground. Call today for your private showing.